I quite liked this band out of the box. John McRea's deadpan, "talk-singing" was different, as was the band's unique sound of guitars, drums, trumpets. 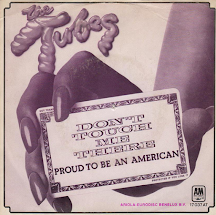 But I found myself taking to their strange arrangements of covers of songs by Barry White, Black Sabbath, Frank Sinatra and Johnny Cash, more than their original material. So I stopped listening. Actually, I can't remember the last time I heard a Cake release. Watertown is Frank Sinatra's most ambitious concept album, as well as his most difficult record. Not only does it tell a full-fledged story, it is his most explicit attempt at rock-oriented pop. Since the main composer of Watertown is Bob Gaudio, the author of the Four Seasons' hits "Can't Take My Eyes Off of You," "Walk Like a Man," and "Big Girls Don't Cry," that doesn't come as a surprise. With Jake Holmes, Gaudio created a song cycle concerning a middle-aged, small-town man whose wife had left him with the kids. Constructed as a series of brief lyrical snapshots that read like letters or soliloquies, the culminating effect of the songs is an atmosphere of loneliness, but it is a loneliness without much hope or romance -- it is the sound of a broken man. Producer Charles Calello arranged musical backdrops that conveyed the despair of the lyrics. Weaving together prominent electric guitars, keyboards, drum kits, and light strings, Calello uses pop/rock instrumentations and production techniques, but that doesn't prevent Sinatra from warming to the material. In fact, he turns in a wonderful performance, drawing out every emotion from the lyrics, giving the album's character depth. Cake delivers big with "What's Now Is Now." It's not as ambitious as Frank's, but it's worth noting that the band didn't hand in a piss take. "Showroom Of Compassion" is worth your time. 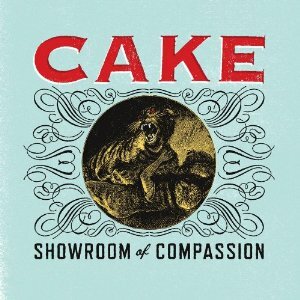 If you've never heard a note by Cake, this is a great place to start. Just go in with an open mind. I've been a big fan of Cake since I first heard 'The Distance'. Great rhythm section and the best coronet player in any rock and roll band from Sacramento. I don't even mind the monotone vocals. They work for me because I don't think they're taking themselves too seriaously. They look like a bunch of farmers. Nothing earth shattering but a real fun band to listen took. I've been looking forward to their new album since I heard 'Sick of You'. Dig in! I've always felt Cake flattered to deceive, I'll give this a listen, it's here unopened and see if I feel any different. Looking at your playlist, I see a great minds think alike with Lodger. I've always loved it despite it's lo-fi ness (inventing words now!, Fantastic Voyage is truly truly wonderful. Stargazer thakes me back to my youth and the invention of the Rock Disco. The Trio at the end of the night were always Freebird, Stairway To Heaven and Stargazer. In the heat and the rain with whips and chains indeed!